Texas Instruments is now sampling to its third-party developer network the 0.47-in. 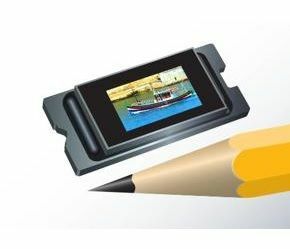 TRP Full-HD 1080p chipset—the smallest TI chipset capable of generating brighter, more efficient full high-definition projection displays from small form-factor electronics. The chipset is based on DLP Cinema technology and employs the DLP4710 digital micromirror device to deliver sharp, clear images in a compact size that enables end-user products in many form factors. Low power consumption allows the chipset to be used in battery-powered applications, such as mobile projectors and wearable electronics. In addition, the proprietary DLP TRP architecture and adaptive DLP IntelliBright suite of algorithms deliver up to 100% higher brightness or up to 50% lower power consumption than previous DLP Pico chipset architectures.